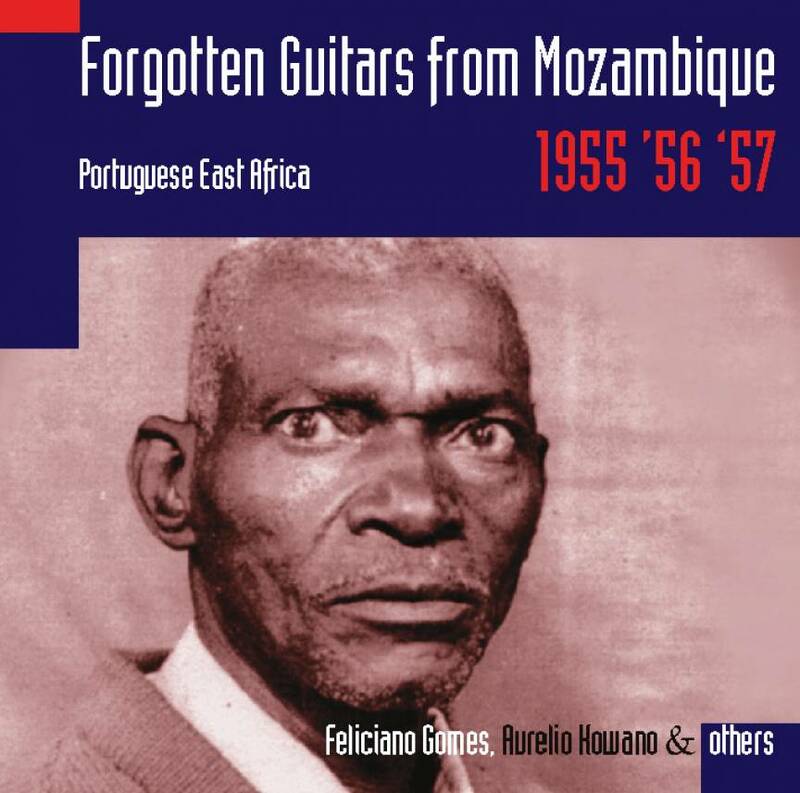 Aside from Katanga in Congo and the Zambian Copperbelt, southern Mozambique also developed its own distinctive guitar sound in the fifties – the roots of marrabenta. Listen to the enigmatic Feliciano Gomes sing about the problems of getting children, promiscuity of women, snobism, jealousy, the supernatural, enjoy Aurelio Kowano's virtuoso rhythm guitar playing, and others – now no longer forgotten. Total time: 62'34". 20 page booklet. Tracklist: 1. Wukati Lakukawa, by Feliciano Gomes, 2. Awu Ngali Wanchumo, by Feliciano Gomes, 3. Godwa Aswibanga, by Feliciano Gomes, 4. Nyamugowelo, by Feliciano Gomes, 5. Ndodya Mutombo, by Feliciano Gomes, 6. Kwongotela Mwananga, by Aurelio Kowano, 7. Uta Rungula Wamamane Lekaya, by Aurelio Kowano, 8. Nonavela Mwana Maiwaku, by Andrea Sitole, 9. Kerestina Wena Waluma, by Nacio Makanda, 10. Riranzo, by Nacio Makanda, 11. Hakunene, by Americo Kossa & Aurelio Jefe, 12. Watasala Warila Nanzifile, by Alberto Mwammosi & Gabriel Bila, 13. Maluzano, by Aurelio Kowano & Alberto Fulani, 14. Vozua Vakuvitana Gelegele, by Aurelio Kowano & Alberto Fulani, 15. Halakuvuma, by Aurelio Kowano, 16. Tingana Mukon'wana, by Feliciano Gomes,, 17. Anavela Cocacola Mwana Mama, by Feliciano Gomes, 18. Tsapwa, by Feliciano Gomes, 19. Matsaire, by Feliciano Gomes, 20. Hayilolosa Amale Ye Ma Tshangane, by Mahikwani Makhuvele, 21. He Wena Mani, by Armando Muwane. fRoots 2004 (GB): "What these lone players were doing, functions just like – well, the more elaborate orchestrations of Fela and James Brown. It’s a fully-muscled thing."